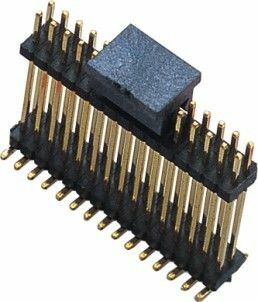 1. features: Male Pin Header Connector use of a wide range of environmental protection fireproof anti-oxidation conductive and strong, to be blocked in the circuit between the circuit or isolated, to the bridge function, assume the current or signal transmission task. 2. material: Male Pin Header Connector is made of brass wire, phosphorus copper wire, copper clad steel wire, pure copper wire, tin plating nickel surface after the bottom, bottom plated nickel. 3. scope of application: pin are widely used in displays, digital camera, MP3, MP4, PDA, computer, computer motherboard, a variety of mobile storage disk, card reader, security products, electricity meter, wireless telephone, mobile phone, interphone, program-controlled switches, VCD, DVD, LCM/LED display module, electronic toys, household appliances etc.. As the most reliable connection plate to plate, wire to board provides. 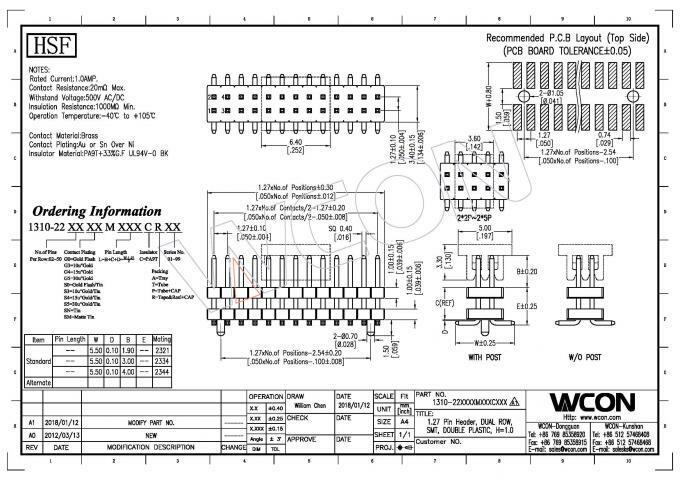 WCON Group, established in May of 1999, specializes in operating businesses of precise Board to Board, Wire-to-board connectors, Industrial Terminal blocks and cable assemblies for computer & peripheral devices. After 20 years of steady development, Now have two factories: Dongguan WCON Hardware Electronics Co., Ltd and Kunshan Wcon Electronics Co., Ltd. Since its foundation, the company sticks to the production of specialization and tries its best to supply precise and reliable connector products, from the develop, design and manufacture of metal terminal and plastic molds to the precision high-speed punch molding, precise plastic injection molding and automatic assembly, that have a skilled R&D and management team. The factory, with a floorage of 13,000m2 for plant , has about 650 employees and owns 50sets precision molding equipments, 26 sets Taiwan & Japan 30~120 ton precision plastic injection machines, 16 sets Japan &Taiwan precision high-speed punch machines, more than 500 sets Various types of plastic molds and more than 300 sets hardware terminal molds, over 300 sets machines for automatic assembly that can provide customers with over 13 sorts and 20,000 different specification connectors parts, company handles import-export rights. and up to 40% products are exported to Euro-American countries. factory laboratory have various testing equipments 30 sets, that is UL-authorized witness test laboratory, with the UL authorize number:113185001. At present, Our laboratory is applying the for national test laboratory accreditation. Wcon that emphasize canonical enterprise management and high-quality requirements since its founding. We has already acquired ISO9001, TS16949 quality management system certification; ISO14001, QC080000 environment and management systems certification and OHSAS18001 occupation health safety management system certification. The company main 13 series products obtained American UL & CUL certification, with the No. E248993, E46999. All items are in line with EU RoHS and REACH environmental green requirements.